“Big Data has the potential to drive innovations that reduce bias in employment decisions and help employers make better decisions in hiring, performance evaluations, and promotions.” This powerful statement from EEOC Chair, Jenny R. Yang, came with an equally powerful disclaimer: “At the same time, it is critical that these tools are designed to promote fairness and opportunity, so that reliance on these expanding sources of data does not create new barriers to opportunity,” Yang warned. The EEOC held a meeting last October, to hear from experts on the growing use of algorithms to make employment-related decisions. Known as big data, predictive analytics, or talent analytics, Dr. Kathleen Ludquist, an organizational psychologist, expressed her opinion that organizations will inevitably be moving toward harvesting a wide range of empirical data for HR decision making. In her view, this is both promising and scary. Other experts appear to agree. Dr. Michael Housman, a workforce scientist with a background in Applied Economics, feels big data can give a fair shot to non-traditional candidates who might not otherwise have a chance at employment, including individuals who have had long-term unemployment. As with any other employment screening or hiring practice, the use of big data must be carefully considered. Employers have an obligation to avoid discriminatory hiring practices, both those that are known and unknown. It’s the unknown side of using big data or predictive analytics that makes this new frontier especially risky for employers. Add to this the fact that today’s legal environment has not yet evolved to fully account for the use of big data, employers may find themselves in uncharted territory from a legal standpoint. 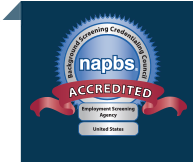 If you have questions about your employment screening practices and how big data might play a role in your decision making, give us a call.